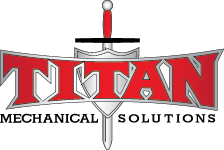 Titan Mechanical Solutions team of professionals are skilled in the fields of Commercial and Industrial Service, Maintenance, Installation, Pipe Fitting, Plumbing and Project Management. We show our clients that we are committed to quality craftsmanship, honesty, the latest technology and superior service. Building a new business or in need of upgrading your current HVAC system? Building a new business? Upgrading your current space? We can help you design and install an efficient HVAC system. Titan will fix your residential and commercial plumbing problems. Even the most well-maintained equipment will need replacing someday. Titan Mechanical Solutions has recently completed a VRF system (Variable Refrigerant Flow) for St. Timothy Church in Union, Ky. If you would like more information on a VRF system for your facility, please contact Titan to speak with one of our project managers. and curbs for the VRF system. piping to various VRF heads. Our Mission is to be an exceptional leader in our community, with a primary focus on completely satisfying our customers’ needs, building strong relationships, setting high standards of professionalism, work ethics, integrity and safety, all while providing an excellent team environment for our employees to succeed. We Live Our Code of Values By……. J. Kidd, Manager, AAA Allied Group Inc.
Our company is proud to serve clients throughout the Fairfield area. We are thankful for the opportunity to stand apart in our field and to provide excellence in heating and cooling repair. If you have a question about your air conditioner or heater system, we urge you to give us a call and arrange an appointment.